ITEM FIVE: The Black Plate. Just a short 15 mile bike ride north-east of Albuquerque is the Goodwill store on Paseo del Norte, where I found this black plate for $1.99. 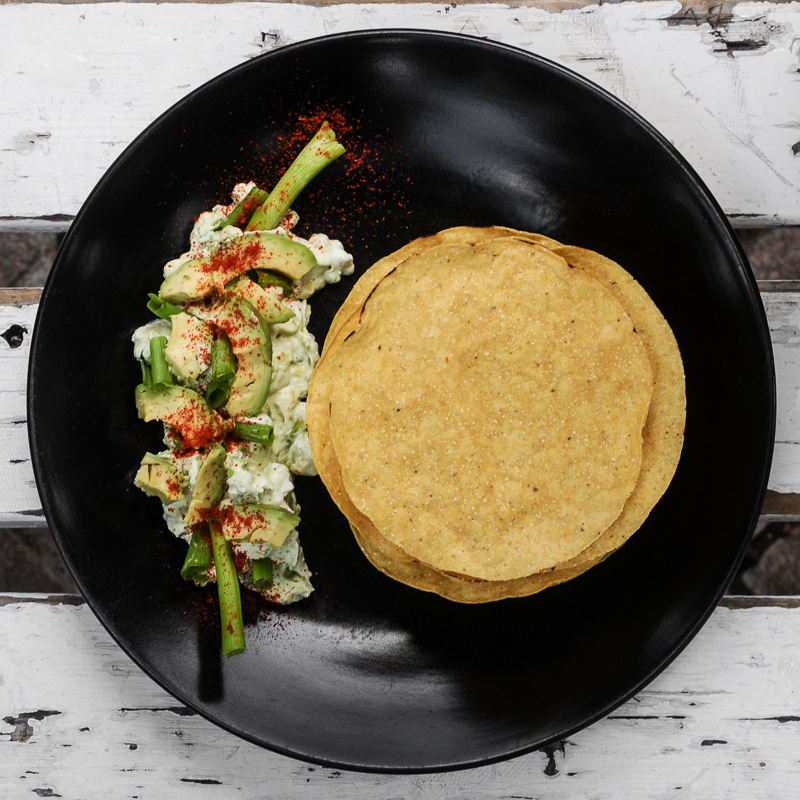 What has become a staple for food photographers, the black plate frames colorful food, like this guacamole with red chile, green onion and corn tostadas, beautifully. Shot on a bench in Old Town one block from the studio, the black plate is a welcome and necessary addition to the food photography collection here in New Mexico.